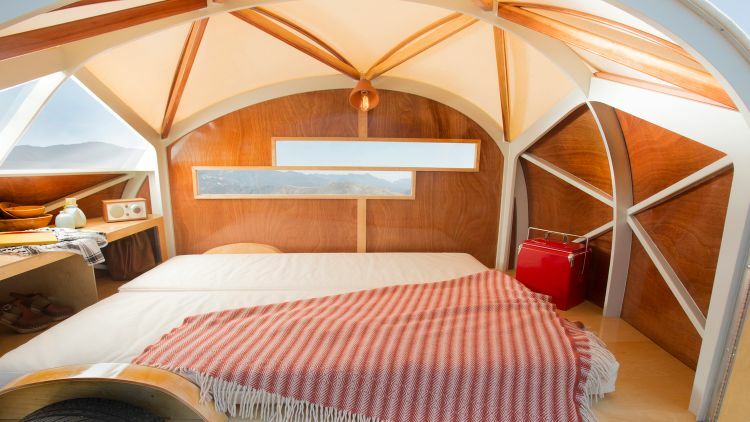 For those of you looking for a more organic, holistic approach to camping, look no further than the Hütte Hut teardrop trailer. 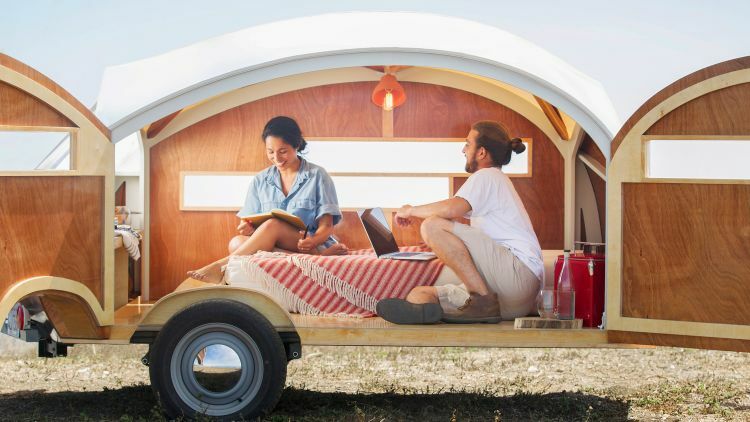 This made-to-order, limited production trailer is everything you could hope for in an environmentally-friendly package. 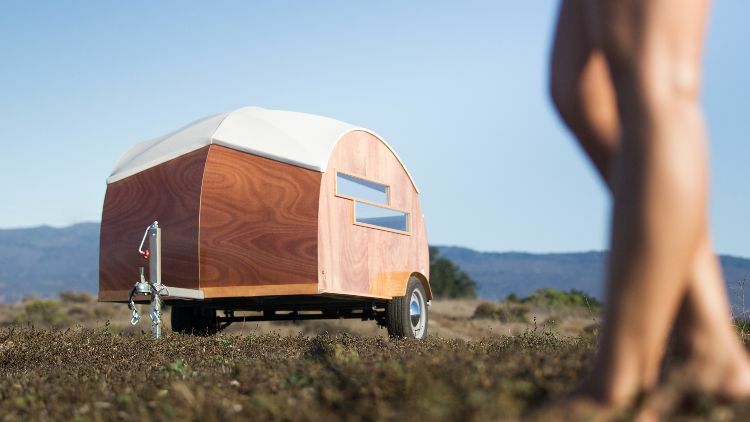 Not only is it towable by most cars, but it uses a screwless wood assembly in order to conserve materials. The frame itself is aluminum with a wood exterior. To keep the wood from getting stained and damaged, an all-natural cotton canvas was placed over the top. The material itself naturally repels water to keep it from getting soaked. That makes for a pleasant camping trip; after all, getting flooded out of your trailer doesn't sound like a very good time. The interior uses Baltic Birch plywood. Here's why that's awesome: Baltic Birch is incredibly durable and stable, as well as having a “void-free core” (no empty space between the fibers that could eventually weaken and grow). Hutte Hut's double doors are also a prime feature for opening up the space. You can see just how spacious the interior is, and the unique design of the windows is absolutely spectacular. The wooden trusses, comfortable sleeping space, and generous interior shelving all make me want to buy one of my own Hütte Huts! 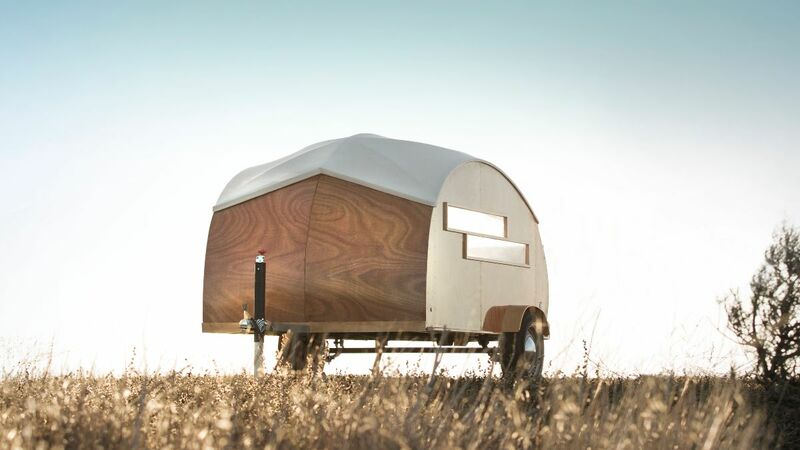 This lightweight trailer is everything campers need for a luxurious, modern camping trip. The creators of Hütte Hut will soon be expanding options for the trailer to include exterior features and interior seating options, along with the possibility of cooking appliances and more storage. 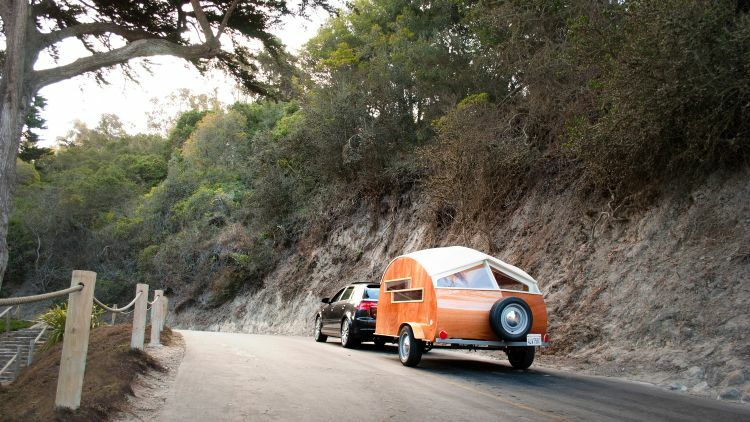 Check out more teardrop trailers on our Teardrop Trailer Facebook page. Don't forget to share this article with family and friends! Check out this brand new 2017 model with a killer kitchen and entertainment center. You're spoiled for choice with the vast array of options that come with this custom job.